The KABAR Field Kit Tactical Spork Set features heavy duty Creamid construction, and includes one each of OD Green, Black and Brown - so no one has to share! Each Tactical Spork has a hollow handle that is ribbed for secure grip, and a knife with 2.5 inch serrated blade that stores inside. 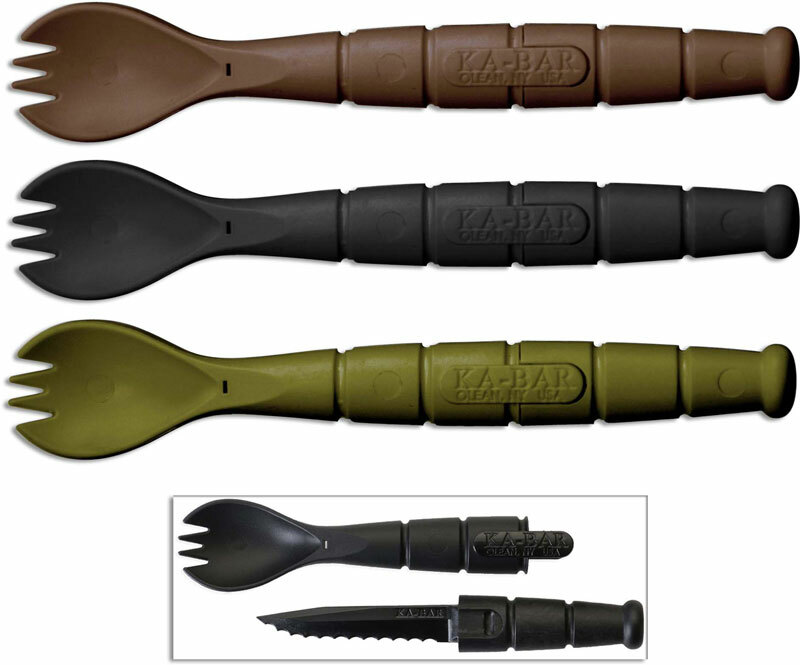 The KA-BAR Tactical Spork has an overall length of 6.875 inches. Made in the USA.